Lovely nose of strawberry, some green pepper and iodine. On the palate- sour cherry, vanilla cake and red twizzler. The mid palate piles on some strawberry and more creamy vanilla. The finish is a touch acidic, fresh and of decent length. 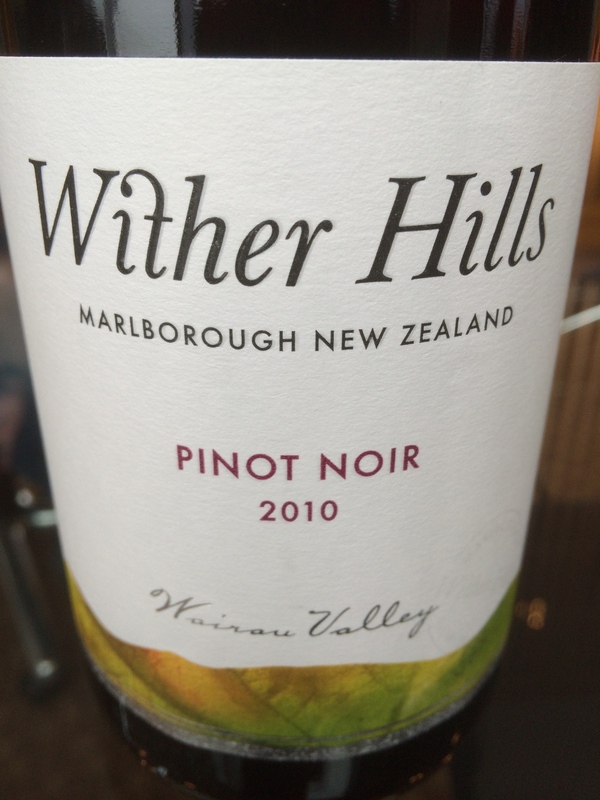 I like this New Zealand wine and think it is worthy of 88 points. For $13, it’s a pretty good deal and gets 3 stars from me. Salut…. My friend ‘The Beav’ brought this out of his locker for our tasting. I remember him buying it in December for about $15. It was delicious and started with a strong nose of sour cherries. The profile continued on the palate with the addition of some herbs and capsicum. The wine had an intriguing tartness that I really enjoyed and finished with some woody tannins. The bottle came in at 13.5% alcohol, which is just about right and was very balanced. I would reckon it is worthy of 89 points and for the price- 4 stars. I shall be on the lookout for this Marlborough gem again. I would pair it with pizza for sure and perhaps herbed roast chicken. Salut…. We opened this wine for the Turkey dinner and it was a hit. 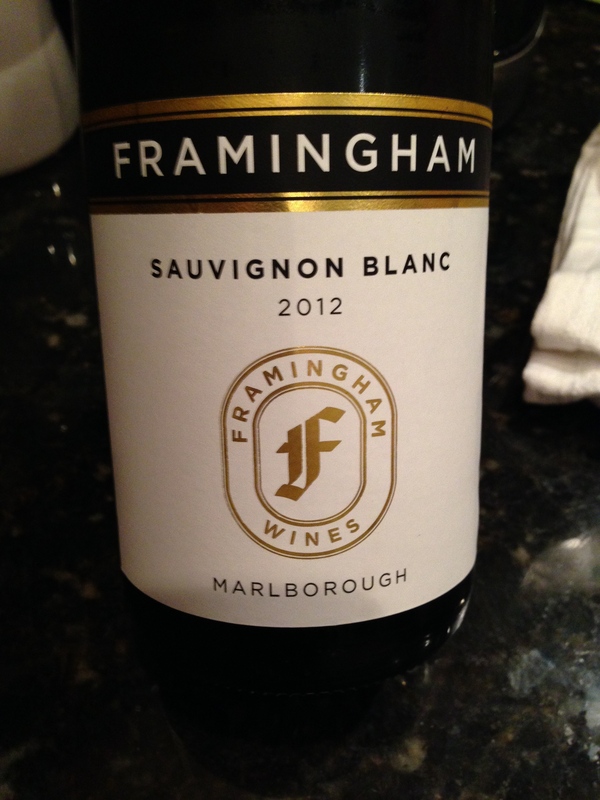 I always enjoy Marlborough Sav Blancs. The telltale gooseberry, lime and cut grass components all melded with the crisp acidity. Not overly cutting, the balance is nice with this wine and I really enjoyed it with the bird. It was on sale for $13 and will fit into many pairings or it can be drunk on a warm day, well chilled with some smokehouse almonds. Bang for the buck, this varietal always delivers for me. 4 stars and 88 points. Salut…. This weekend finds us at the beach. The Outer Banks of North Carolina is where we are staying in an ocean front palace with three other families (the prize from a raffle back in April). It’s a bit chilly outside, but inside there’s food and wine, games and football and everyone is just chilling. The beauty of the gathering is that we all brought some really nice wines and get to share them together. This particular wine was opened as an aperitif. Straw colored in the glass, it had a distinct Kiwi nose of Sauvignon Blanc. On the initial attack it was somewhat sweet for the varietal, which made Moxie love it right off the bat. She is easily pleased by whites that have residual sugar. The textbook cat’s pee was missing but grapefruit was in full force as was the grass component. I only had a few sips of her glass so I am not going to pass too much judgement except to say that it was easy to drink but lacked a certain acidity that I need for this type of wine. 88 points and for $17 I would say it’s a 3 star wine for me for this Kiwi wine from the South Island region of Marlborough. Salut…. When you mention Marlborough Sauvignon Blanc, the first few things that come to mind are: cat’s pee, grapefruit, cut grass and green apples. 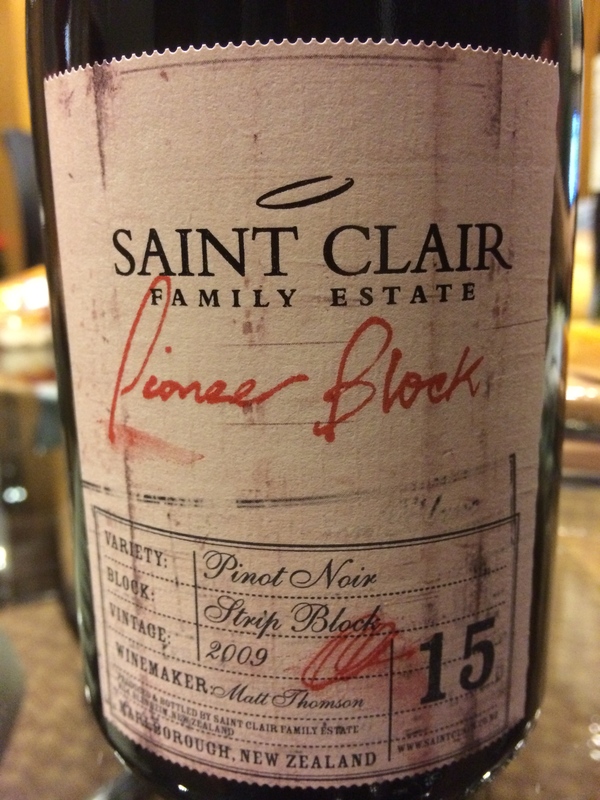 This wine had it all, plus a cutting acidity that balanced the fruit nicely. In the mouth, very smooth and inviting, making me pucker up for more after its long finish subsided. It went perfectly with the salad course, and I imagine it to be a stunner on a hot summer’s eve. This region in New Zealand has been excelling in the varietal, making delicious and lush wines. I would imagine it to be an 89 point wine and for about $15, worthy of 4 stars.